We’re on several social media networks, but the main one we’re constant on is Twitter. Here’s how you can follow us on Twitter, Facebook, and Periscope. We use Twitter as our number one social media network. 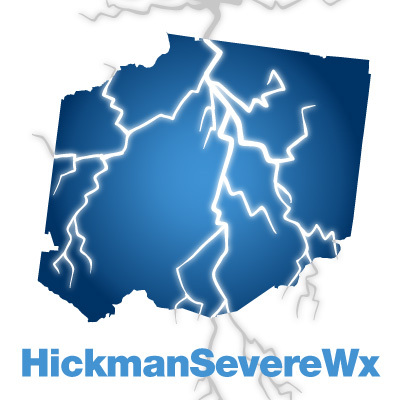 We tweet any and all weather information, including warnings, radar, and in-the-moment nowcasting. Twitter is where we are best. We also solicit storm reports from our followers using #tspotter. Because of this, we highly recommend getting a Twitter account. If you are new to Twitter and don’t have an account, you will need to get an account in order to “follow” us and get our tweets. We use Facebook mainly to get the word out about our Twitter account and to post more outlooks and forecast type of information. Site updates automatically post to Facebook. We do not post warnings, radar, or in-the-moment nowcasting on Facebook due to how Facebook’s home timeline works for most users (it hides things and doesn’t post things in chronological order by default). If you are new to Facebook and don’t have an account, you will need to get an account in order to “like” us and get our updates. We use Periscope as a live broadcasting tool. This is something new we are testing. We have used it in the past hours before an event arrives, day before an event arrives, or for showing in-the-moment live video feed of rain, winds, or snow. We may expand the use of this tool in the future. If you are new to Periscope and don’t have an account, you will need to first download Periscope on your phone or tablet from your favorite app store, depending on your type of phone.